hd00:21Young brunette woman in a brown coat on a walk in the autumn park with maple leaves in their hands. Slow motion. hd00:18Young brunette woman on a walk in the autumn park with maple leaves in their hands. Slow motion. 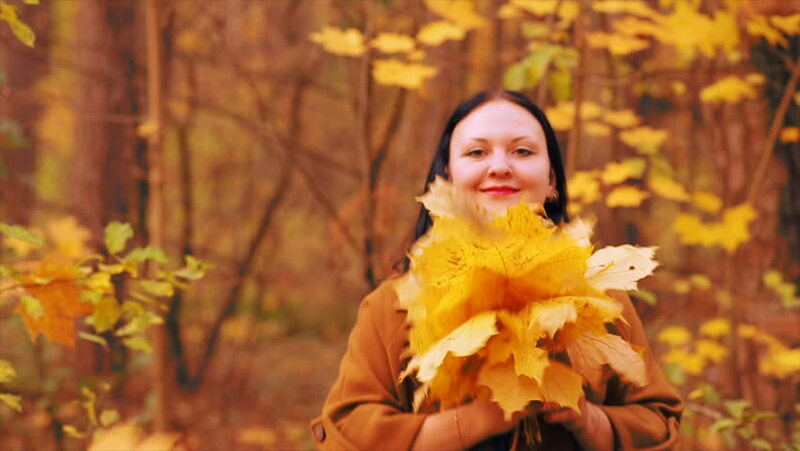 hd00:18Young beautiful girl in dress with bouquet of autumn leaves posing in camera enjoying autumn in city park.